During the ceremony commemorating the 50th Anniversary of the Committees for the Defense of the Revolution I expressed my opinion that “The Cuban Revolution, on our small and ignored island, was newly born, but coming into this world just 90 miles from the powerful empire, caused it to test the arrogance of the dominant superpower in our hemisphere and in a large part of the world.” I promised to speak about the statements I had made to the United Nations two days previously. I warned that our struggle would be “long and hard.” For the time being, I must postpone this task. Another subject at the moment is more important. Our people, as many around the world know, are characterized by their high level of knowledge, which they have achieved during the past five decades, after the country emerged from its semi-colonized and mono-crop producing state and its considerable levels of illiterate and semi-illiterate people with low general education levels and scientific knowledge. The Cuban people had to be fully informed about what nuclear energy could mean for the fate of the human species. “I think —I said verbatim on September 28— that it might be a good idea to make known some of these ideas about what a nuclear weapon is. I have seen images about what critical mass is, and what its use as a weapon represents: that is to employ the energy that drives the universe for war.” At “3,000 degrees Celsius, practically all metals and materials ” melt. “What would happen then at 10,000 degrees? [...] Well, an atomic explosion produced by critical mass could reach millions of degrees. In the current stage of the world, when some 200 countries have been recognized as independent states with the right to participate in the United Nations —ridiculous legal fiction—, the only chance to forge a ray of hope is by leading the masses, in a rational and calm way, to the understanding that all the inhabitants of the planet are facing a grave risk. Within our limited relations, we have had the opportunity, in less than three weeks, to receive two eminent figures. The first one was Alan Robock, an emeritus researcher and professor at Rutgers University, New Jersey. While working with a group of courageous colleagues, the US scientist proved the Nuclear Winter theory and advanced it to its current level. Only 100 of the 25,000 strategic nuclear weapons that exist today would be enough to cause this tragedy, he explained. “ Any country that at present may be considering the nuclear option must acknowledge that by adopting such a decision, it would be endangering not only its own population but the entire world. On October 2, another eminent figure of great authority and prestige arrived in our country, economist Michel Chossudovsky, the director of the Center for Research on Globalization and chief editor of the renowned and increasing influential Website Global Research. He is an emeritus professor at the University of Ottawa and a consultant for several international institutions, including the United Nations Development Program, the African Development Bank, the United Nations Population Fund. He has an extensive list of other connections and merits that would take a long time to mention. One of the first activities of the Canadian economist and writer was a lecture he gave to students, professors and researchers in economics, at the Manuel Sanguily Theater, University of Havana. He presented his lecture and answered all questions in perfect Spanish; a commendable effort. I noted down the main ideas from his presentation, especially those related to the risk of war employing atomic weapons. “If you add the Muslim countries to Nigeria, Libya, Algeria, Malaysia, Indonesia and Brunei, they represent 70 percent of the global crude oil reserves [...] The United States is carrying out a religious war against the inhabitants of those countries where there is oil. [...] It is a holy crusade against the Muslim world, but the religious objective is only a pretext, the justification to unleash such a war. [...] The statements made by Obama, by Hillary Clinton [...] lead us to believe that the United States, with all its military power and military spending of nearly 1 trillion dollars a year, is waging a war against Bin Laden and Al Qaeda. "The state of poverty that exists in the United States, both due to the crisis and the military economy, is extremely serious. It is not the product of a lack of resources, but rather the result of a transfer of wealth into fewer hands, a stagnation that is caused by the compression of living standards and also by the state’s allocation of almost all of its income to sustain the war economy, on the one hand, and the so-called bank bailout." "... in the conflict between the United States and the Soviet Union there was a kind of understanding [...] I do not know how to say it in Spanish ... an understanding that it would not be used because it was recognized as a weapon that could wipe out society as a whole. "First came the doctrine of preventive nuclear war, based on the reclassification of nuclear weapons as conventional weapons [...] During the Cold War there was the red telephone, they had to say who was in Moscow ... At the time there was a recognition that it was dangerous, right? " "... in 2002 it was as follows: There was a propaganda campaign within the armed forces saying that tactical nuclear weapons were safe for the civilian population [...] safe for the surrounding civilian population, without causing damage to the civilian population around the site of the blast. This classification was used for the nuclear bomb they called the mini-nuke —mini-nuke means small nuclear bomb. [...] According to this ideology, this scientific falsification, the new generation of nuclear bombs was presented as being very different from the strategic bomb [...] I have a pack of cigarettes; I do not know who smokes here, ‘Smoking can damage your health.’ [...] The same thing the Pentagon did, they changed the label; with the backing of bought or co-opted scientists, they have changed the label on the nuclear bomb. [...] ‘This nuclear bomb is safe for civilians, it is a humanitarian bomb.’ I'm not exaggerating; you can consult the documentation about it. [...] this is internal propaganda, it is propaganda in the armed forces themselves; these are the words they use ‘safe for the surrounding civilian population’ [...] as you know, it’s as if you were using a video camera, there is a manual for this bomb. "Another factor: it is not the commander in chief, that is to say the US president, who decides to use the nuclear bomb. The nuclear bomb, reclassified by the Senate in 2002 with that category —a small bomb, which is up to six times the Hiroshima bomb—, is now part of the arsenal of conventional weapons [...] in military terminology it is also in the armory, the tool box. [...] it is in the tool box of the commanding general, three stars [...] the guy says: [...] 'here's the mini-Nuke, he’s reading the manual [...] It says right here that you can use that nuclear bomb. '" "I'm not exaggerating, once the propaganda is in the military manuals, it becomes a line of conduct, and the problem is as follows: the inquisitorial discourse is so sophisticated, so advanced that it could lead to decisions that are extremely severe for the future of the human race, and therefore we need to come together and unite against that military project, that war project." "I mentioned the $ 750 billion in military spending, and the $1.5 trillion used to bail out the banks, these are the operations that were implemented in 2008-2009 [...] if military spending is added to the payments made to the banks, we come to a figure that is greater than all state revenues. In one year, state revenues are around $ 2.3 trillion. A large portion of this amount is used to finance the war and fraud, a product of the economic crisis [...] if we look at the program implemented under the Bush [administration] ... it was $ 750 billion, and afterwards another similar scheme was implemented at the beginning of the Obama mandate [...] a trillion or so [...] the total of these rescue operations, by various means, is estimated between 6 and 8 trillion dollars, which would be three or four times the annual income of the US Federal Government. " "... The State is going to go into debt and those who are monitoring the state are the banks, right [...] the same people who are the recipients of the rescue operation in turn are also the creditors of the state, and that circular process is called financing your debt [...] the banks say: 'Well, they have to give us money, because we have to finance the debt from the fiscal deficit, due to both spending on defense and rescue operations. " “We are in an extremely serious situation regarding the US fiscal structure, which is leading to a de facto privatization of the state, because there is no money to fund health, education, public works, whatever. Then, gradually, it is a privatization of the state and also the privatization of war. This is already underway; an important part of this war is being carried out by private companies, mercenaries, which are also linked to the military or industrial complex." On Thursday, Michel Chossudovsky, professor emeritus at the University of Ottawa, was invited to appear on the Mesa Redonda television program. He participated along with Osvaldo Martinez, director of the Research Center on World Economics. Of course, I listened to their debate with particular interest. Chossudovsky spoke in Spanish and showed a complete command of the issues at hand. He is scrupulous about the meaning of words, including phrases coined in English to precisely express a certain idea when they do not have equivalent terms in Spanish. Chossudovsky said that in the United States an inescapable systemic crisis has been created, which they are trying to resolve by employing the same measures that caused it. He explained that there has been an impoverishment of all social groups, which affects the workers and middle class much more than the rich. The U.S. government is calling for austerity measures at a global level, and applying "remedies" and "prescriptions" that were the cause of the crisis, faced with the necessity of financing military spending and bailing out banks. He confirmed that they have been preparing for war against Iran since 2003, and are also threatening Russia, China, North Korea, Syria, Lebanon and other countries in this vast region. He energetically criticized the justification for the introduction of the so-called mini-nuke among the arsenal of tactical nuclear weapons, and of the doctrine that was widely promoted prior to their introduction, in an attempt to argue that the mini-nuke is safe for civilians (safe for the surrounding civilian population, in English, he explained). He noted the irony of how the mini-nukes included bombs that fluctuated between one-third and six times the power of that which destroyed Hiroshima. The same in the United States at the beginning of the Second World War, which started for them in 1941; there was job creation and that was the way out of the Great Depression under President Roosevelt. But this war (referring to a Third World War) is not the same type; it is a high-tech war, not a war of military equipment assembly. The war in Viet Nam created jobs, as did the Korean War. This war is a war characterized by a very sophisticated weapons system, employing highly advanced scientific manpower, engineers and the like ... "
"... any first year student knows that if you impose austerity measures at a national and global level –as proposed at the G-20 meetings and also under the auspices of the International Settlements Bank, which represents the central banks–, there is a sort of consensus that to solve the crisis we have to implement austerity measures, that austerity measures are not a solution, but a cause of the crisis. Cutting the budget, cutting spending, cutting credit to small and medium enterprises at the same time increases unemployment levels and reduces salaries. This is the case in most European countries." "Spain and Portugal have unemployment rates above 20 percent, officially; the key issue here is that the proposed solution, not only nationally, but in all countries, pronounced by the neoliberal consensus, is that we have to implement austerity measures ... "
"... but the stagnation of the civilian economy caused, in a first instance, because of the transfer of wealth, not just in recent years but let's say from the beginning of the 1980s, when the so-called era of neoliberal policies began which also led to stagnation in the civilian economy [...] if we talk about the United States, these measures were implemented at the end of the Bill Clinton administration [...] the Financial Services Modernization Act, but they have created a financial system that is not regulated, and that is involved, shall we say, in semi-illegal activities. In some ways it is the criminalization of the financial apparatus, and that is not just a word I'm just using, many analysts, including The Wall Street Journal are talking about the criminalization, because there was financial fraud in recent years, and those who have committed this fraud are not being punished." "... an economic crisis, in my opinion the worst in history, without precedent, not even the 1930s, which was a very localized crisis, not a global crisis as such, it had a dynamic in certain countries and regions of the world. " "... the financial war is closely linked to the war in the military sector, there are even links between the World Bank and the Pentagon. [...] former United States Defense ministers became presidents of the World Bank [...] the new world order is run by financial manipulation mechanisms [...] regime changes, destabilization of governments and military operations of various kinds [...] capitalism has institutions, both civilian and military, that work together, this is a very important concept. Behind these institutions are the intellectuals, the think tanks in Washington, there are secret clubs for the elites [... ] the process of war, which now threatens humanity, is important at all levels of society." "... war is classified as a criminal act, the Nuremberg Convention states this [...] It is the ultimate criminal act. War is a crime against peace. [...] we have indications that this economic crisis led to a concentration of wealth, in a few years, and a centralization of economic power that is unprecedented in history [...] this crisis is not spontaneous, as presented in the neoliberal economy, it is the result of manipulation, of planning, and, at the same time, there is a military component. With these words, Chossudovsky concluded his address and expressed his willingness to answer questions: " I will leave the issue of resistance and how to reverse this process for you to debate," he said. The students' questions were intelligent and serious. From them I have only repeated the essential ideas. "Moderator .- I believe I convey the sentiments of all present, in thanking Dr. Michel Chossudovsky for the excellent address he has given us, which has provided us with even more awareness about the causes and consequences of the real dangers that threaten humanity ... "
"... we will proceed with the questions that the audience deems pertinent for our guest." "A student .- ... we would like to know [...] your view on the optimism that has been presented in the media over the current crisis situation in Latin America, what is your opinion about the possibilities of addressing this crisis in the region ... "
"Michel Chossudovsky .- The Caribbean region is identified as a region extremely rich in both oil and gas, and not just Venezuela and Colombia, the truth is that there are known reserves because the oil companies have information that is not public; but what is public is that this region is extremely rich. "The situation in Haiti is also linked to a project of resource appropriation [...] the humanitarian situation [...] allows capital to gain access to mineral resources and potential oil resources in the region. [...] I'm not saying that's the only reason for the militarization of the region. The other is drug trafficking." "... there are geographic, geopolitical and resource objectives [...] but also drug trafficking, because it is a very important source of profits for capital." "... there are two axes of the global drug trade, one is Afghanistan and Pakistan, which represents the heroin trade, and the other is Colombia, Peru, Bolivia. The transfer goes through Haiti and other Caribbean countries to the U.S. market. [...] Afghanistan is an enormously rich country, it annually produces about $200 billion in revenues from the export of heroin, at least according to my estimates. Since the U.S. forces entered into Afghanistan, heroin production has increased 30 fold. Well, I digress." "The militarization of the region and operations in Ecuador, an oil power, Venezuela, an oil power, Mexico is also an oil power. These are all countries that have a strategic role in the geopolitics of the U.S. economy. " "A student .- I am a student at the Faculty of Economics ..."
"My question is: Is globalization, as it has been sold, as presented by the so-called developed countries, currently viable or are there other alternatives, such as integration models? "Michel Chossudovsky .- It is certainly not viable. "Globalization, as defined by the centers of power is not viable. Perhaps it is viable for one sector, a social minority that becomes richer, but it leads to impoverishment, and that is now very well documented. It is part of a process that has affected developing countries over the past 30 years. You can see the consequences in neighboring countries, the impoverishment that exists in Brazil, Mexico, Peru, a product of that destructive model. [...] There are many countries that have presented different development models, as in the case of Yugoslavia." "... Yugoslavia had a socialist system, a market economy, a mixed economy with a high standard of living, social services, education, and what did they do? Since the beginning of the 1980s it was completely destroyed and fragmented into many countries, half a dozen countries. Why? Because Yugoslavia represented a model, an alternative that did not suit them." "... we can also look at the experiences of Latin America: Chile created an alternative, but then was subjected to a military coup and a process of destabilization that was carried out by the United States intelligence services, by sabotage, by embargoes and such, because I experienced that coup. "There are many examples: Tanzania, in Africa, Algeria, there are many countries that have tried. Indonesia for example, in the 1960s there was also a very important process [...] In 1965 a military coup, once again supported by the CIA, killed more than 500,000 people in planned kilings and a military regime was imposed, which ceded to U.S. interests. " "... We must produce an economic model of society as alternative to global capitalism. We can do it. But all the alternatives, including the Cuban model, are the subject of sabotage, embargoes, measures of destabilization, assassinations. That is the truth. " "... Iraq is not a socialist country, but a country that has a certain autonomy. It is a state that does not want to be manipulated, and they do not even want to accept capitalism, is not theirs. That's the world today, there are countries that are capitalist but are enemies of the United States, China is capitalist in a way, Russia too, but Russia's style of capitalism does not suit their interests, and they want to militarily destabilize or destroy any attempt against the economic and geopolitical hegemony of the United States and its allies. " "A Professor.- Your presentation, your lecture was excellent. I used to be scared of war, after listening to you, I'm terrified, but I'd like to ask you something. "At present, there are still Americans who never heard about the Viet Nam War. So my question is the following: What do you think must be done to raise awareness in the U.S. in order to prevent an event that, if it occurs, will have unpredictable economic, political and social consequences? "Michel Chossudovsky.- That is our main concern. More than half of those who visit our Website are readers from the United States, and I would say that most authors are also from the U.S. The point is that we have to expose the lies of the media; we have to fight the sources of the lies, because if the American people know the truth, the power and the legitimacy of their leaders will fade overnight. What happens in the United States is that the media, television, print and the Internet are spreading a view which is largely biased." "... As they listen to these inquisitorial discourses, they accept what is false, they accept the lies; and once the lies become true, you cannot have any real reflection and the debate terminates. This is all part of a war propaganda that reaches all levels of society, that tries to hide the real face of war. The number of civilians killed in Iraq is 2 million, according to estimates by well-known sources, such as the Johns Hopkins School of Public Health. There have been 2 million civilian deaths since they arrived in 2003. Add that to the 4 million deaths in the Congo and to one fourth of the Korean population that was killed from bombardments during the Korean War. These facts are known, but not by the public. [...] there is censorship, but more than censorship is the manipulation of information. [...] we have to fight the media, this is crucial. We have to set up anti-war networks in all municipalities across the United States, in Canada, and the whole world. We need to hold debates, gain knowledge, because we have an intelligent population, but one that is subjected to the constant pressures of conformism and from an authority that tells them the truth, which is in fact a lie." "... I will make an effort to give brief responses, though your questions are very forceful, so I cannot be that brief sometimes." "A student.- I'd like to know if it is possible to achieve a technological change in favor of clean technologies to stop the current ecological crisis." "Michel Chossudovsky.- Yes, that is a fundamental issue for our societies, but there exists a distortion of environmental realities that yield to economic interests, which are the main actors in the destruction of the environment." "... the British Petroleum disaster in the Gulf of Mexico. There is complicity by the U.S. state, that is to say Washington, in their actions to hide what really occurred. Wildlife, all the marine species along the entire coastal region of the U.S. and beyond, is threatened. This fact has been concealed." "It is also important to connect this event, this environmental crisis and the war. British Petroleum is involved in the Middle East and in the military project, which is contradictory on the one hand, while also being responsible for the worst environmental crisis in the history of this continent." "A professor.- You made a brief analysis of the U.S. economy. [...] that economy continues to define the dynamics of the world economy. [...] I'd like to know if you think that this economy will continue to define the dynamics of world economy [...] or if countries like China or the so-called emerging states may take over the role currently played by the United States?" "Michel Chossudovsky.- Look, about this so-called dynamics of economy, the leadership of the United States, from an economic perspective, is not based on its productive capacity [...] the industrial economy has been shutting down over the past 30 years, there are no more assembly lines, production has fallen, there is a service economy, there is the issue of intellectual property control, there is an investment economy, there is an economy where most of consumer goods come from China." "... The U.S. economy is bigger than China's, but even though it is bigger than China's economy it does not produce anything, and the GDP –as we all are well aware– is the sum of added value. The fact is that a large part of U.S. GDP is the result of imports from China. "The technique is simple. If you are going to import a shirt – and I will use more or less real prices – a dozen high quality shirts cost $36. These figures correspond to the 1990s, since these prices are even lower nowadays. [...] a nice shirt costs $3 at the factory; it is taken to the United States and it costs $30, $40 or $50. What is the resulting increase in U.S. GDP? While, $30 minus $3 equals $27 which is added to the GDP without having any kind of production [...] This growth may take place without any existing production; this is how a state with an imperial economy works, production takes place in the colonies or semi-colonies." "... The fiction of this first world economy is based on military power [...] this is the most important fact. The productive forces in the United States are very weak; we can witness this in the companies going bankrupt, in unemployment levels, etc." "A student.- I'd like to acknowledge your stance since it is unusual for us to see someone from your origins strongly criticize the capitalist system as you have done. It deserves acknowledgement." "According to Marxism, this is a systemic crisis, not a temporary one." "In your opinion, what is the real capacity of world public opinion and of the possible growing awareness among the U.S. population to avoid a nuclear conflict, if we bear in mind the strong pressure exercised by small circles of power so frequently referred to in recent times?" "Michel Chossudovsky.- This is a systemic crisis, although it cannot be measured using the guidelines set out in The Capital. The Marxist methodology is useful for our understanding, since it is based on class conflicts, but today's structure is quite different than that of the mid 19th century [...] as economists, we cannot make it fit one model, we have to consider its institutional nature, the relationship among financial activities on the one hand, covert operations." "... The CIA is an entity in Wall Street, a major one [...] it has joint ventures with a large number of financial entities. [...] since the CIA can foresee events, it can operate in marklet speculation "
"... Describing this systemic crisis is very important, but we have to establish the way capitalism operates, its institutional structure, its secret agencies, covert operations, both in financial markets and in the geopolitical context, the function of the military, the decisions of think tanks in Washington, the state entities, and we have to identify who the actors are as well." "I think that your second question shares a common element with the previous ones; the need to change public opinion. But my answer is that we need to shatter the consensus that holds up this system, which is a lie [...] There are different codes of conduct in capitalist countries. There are the politically active people who usually say, 'We are making a petition, please President Obama, stop the war in Afghanistan." They spread that message around the Internet, 'Please, sign our petition, we are writing a letter to Obama, etc.' But all of this is futile because it is based on the acceptance of the consensus, on the acceptance of the president who is one of the factors, and we have to break this inquisition." "... People talk about the Spanish inquisition, insane from an historic point of view, but this is even more insane, statements like, 'We are fighting against Bin Laden and you have to join us, if not, you are a terrorist." "A couple of weeks ago, the FBI raided and arrested anti-war activists and accused them of working with Bin Laden. This was reported in US newspapers, and it is part of this dynamic to change public opinion, it is dialectical, we need to revert and dismantle this discourse that supports and legitimizes war and this economic project, along with the lies such as, 'The crisis is over.'" "You read the Wall Street Journal, you read the newspaper and it says, 'The crisis will come to an end in January 2011,' nobody questions this statement, not even the economists. This ritual of acceptance, is based not on a lack of information but rather because everyone accepts it. We have to break this ritual of accepting the consensus that stems from political power and the financial markets." "A student.- Sustainable development, which for me is totally incompatible with war because there has never been anything more destructive than the recent wars, not only the future one that could take place, but all the recent wars instigated by the United States." "... They insist on the importance of human development, of boosting the roles of local regions and territories. I'd like your opinion on this issue, how realistic is this objective for our countries? "Michel Chossudovsky.- I agree with the real objective of sustainable development, but we have to look at the word play behind this objective. This objective has been formulated by several environmental organizations, such as Greenpeace, WWF, [...] I am not criticizing these organizations, but if you consider the summits held on the environment like the World Social Forum, the G-7 summits for instance, the G-20, they hardly ever talk about the impact of war on the environment. They make their presentations on city pollution, global warming, but western NGOs do not talk about war, they do not talk about the impact of war on the environment, which is significant." "I took part in the social summits up until 1999. As soon as I mentioned the war in Yugoslavia, they did not invite me to participate anymore. War might be discussed in a workshop or some other type of meeting, but it is not an issue addressed at debates on 'Another world is possible,' not at all. This sort of idea of global governance that has characterized the social movements, and I am not criticizing them because I think there are some very good people in these groups, but they have a certain dynamic and there is something about the leadership of these organizations that doesn't fit. [...] We cannot have an anti-globalization movement that only focuses on certain aspects, without taking into account the geopolitical context [...] The Unites States and its allies at war during a large part of this era, which we call the post-war period, that is to say, the last 50 years, are characterized by military operations, wars, interventions by the United States and its allies and all this, in my experience, has not been the subject of debate or discussions at the different world forums where they present sustainable development as a code of conduct." With these words, Michel Chossudovsky concluded his presentation at the University of Havana, which was warmly applauded by the students from the Faculty of Economics, their professors and other people who filled the Manuel Sanguily Hall that day. Before I met with professor Chossudovsky, a coincidence occurred spontaneously. A coincidence related to both the risks of a conflict, which inevitably would lead to global nuclear war, and the need to mobilize world opinion in the face of such a dramatic danger. Along with nuclear weapons are cyber weapons. Another product of technology which, once transferred to the military sector, threatens to become another serious problem for the world. The U.S. Armed Forces possesses some 15,000 communication networks and 7 million computers, as reported by journalist Rosa Miriam Elizalde on the Cubadebate Website. Rosa Miriam Elizalde also wrote: "Four-Star General Keith Alexander, who has compared cyber attacks to weapons of mass destruction, affirmed that the United States has plans to use this new war tactic in an attack without taking into account the opinion of their allies. They could even attack allied networks without any previous warning if they consider that an attack was or could be generated from any of them." I ask the readers to please excuse the length of the two parts of this reflection. There was no way to make it shorter without sacrificing content. 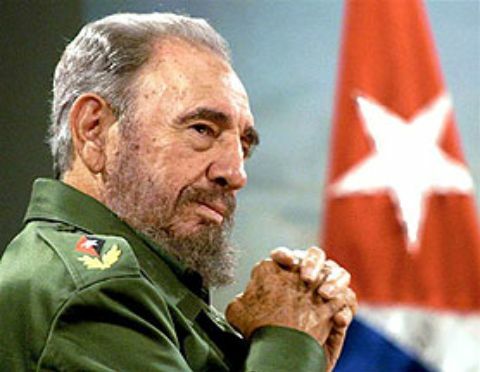 Allow me also to express – I did not forget – that today marks the 43rd anniversary of the death of Che, and that two days ago we commemorated the 34th anniversary of brutal Yankee killings of our Cuban compatriots and other passengers aboard our civilian plane over Barbados. Eternal glory to them all!